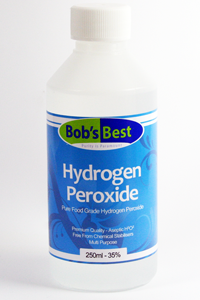 Effective 2nd September 2014, new regulations mean that no one in the UK can sell Hydrogen Peroxide stronger than 12%. Anyone selling 35% or anything stronger than 12% is committing a Criminal Offense. As such, you can no longer purchase 35% from our website. Click Here to view all our H2O2 products including 12%. Within the body, friendly bacteria flourish in oxygen rich environments, whereas most strains of harmful bacteria, and tumour cells, prefer oxygen poor environments (anaerobic). They find it hard to survive in the presence of oxygen. 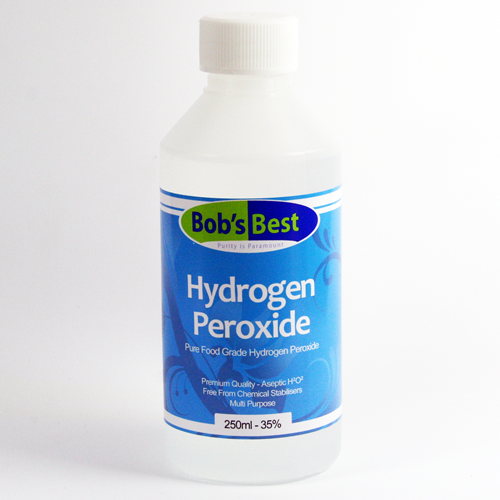 Depending on your requirements, this 35% solution must be diluted with distilled water before use. Click here to visit the Distilled Water product page.